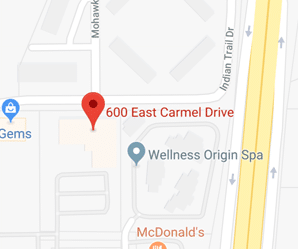 Specializing in residential & commercial projects, we are a full service electrical contractor with extensive experience in residential, commercial, industrial and institutional electrical work. For over 20 years, we have been providing our customers with best-in-class electrical services at competitive rates. Throughout all those years, our mission has been to complete every project on time, within budget, and to your complete satisfaction. Fifteen years later, we are proud to credit this founding principle with our success. 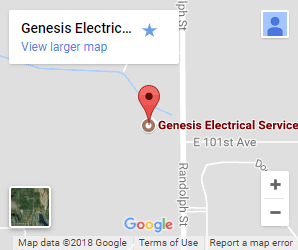 When you choose Genesis Electrical Service for your electrical contracting needs, you can always rest assured that we purchase all our products and materials directly from the manufacturer and pass the savings on to you. We are a local, family owned and owner operated business and all our employees have been hand-picked for experience, competence and courtesy. We Fully Insured/Bonded, Multi-State Licensed Electricians who offer Same-Day Service and 24/7 Emergency Service, too. We accept personal checks, Visa, MasterCard and cash. Genesis is a drug-free company and all prospective employees are thoroughly background checked. We also provide ongoing training & development for every member of our team. Bottom line, it all comes down to this: when you call Genesis Electric, we want you to feel as confident as you can be that your confidence will be rewarded, and your most demanding expectations will be met or exceeded. We will meet any special requests and get things done right the first time. We are proud to go the extra mile for each of our clients, not only because of the values Genesis Electrical Service was founded on, but also because it’s good for business! In fact, we get most of our business via referrals from satisfied customers.